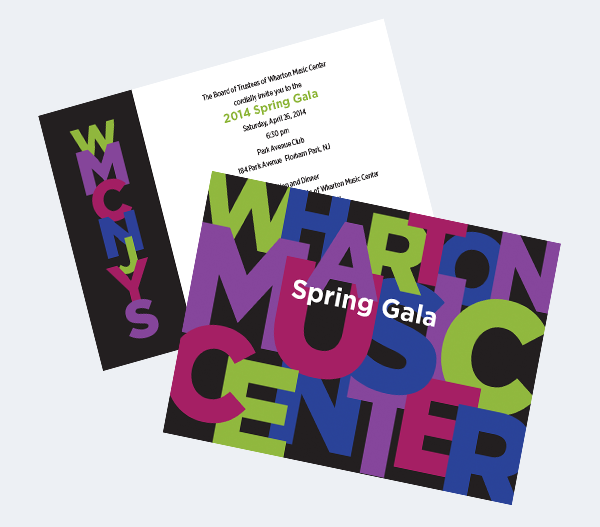 Wharton Music Center was planning a gala fundraising event. This local music school is the place to send your child if they are either serious musicians or just want additional instruction outside of school. The design problem was to create something that would evoke creativity and be musical. I made a typographic design in which the letters danced up and down and overlapped each other, giving a musical feel without the notes and using the colors from their logo. 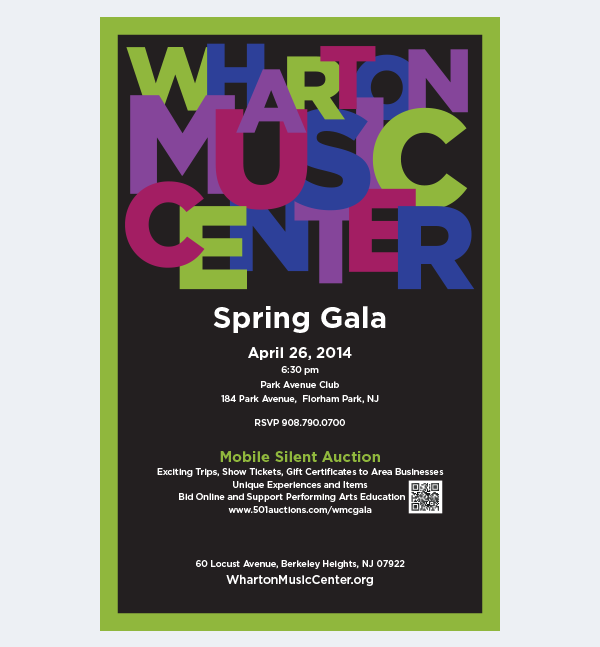 The design element ran through all of the materials including, the invite and journal, posters, and online email marketing for the event auction which took place in advance of the event.